UPDATE: Pre-ordered copies will by signed by both authors. The book has been extended with extra pages, text and photographs. Wait For The Ricochet is nearly there. Last minute technical issues have abounded, not the least of which have been loss of any practical broadband for a few weeks (now happily back up to and beyond our previous speed thanks to the BT engineer). We are using a different print house to our last book, which delayed getting the colour profiles right, and then one of our monitors went into reverse! Easy On The Eye are all Mac based, and to help in the final stages of a book, use a split screen dual monitor set up to give a much bigger ‘desktop’. We were half way through proofing when for some reason the second screen appeared in reverse one day when switched on! Burrowing through the Mac helpdesk revealed that this is actually an option (though I struggle to see what use it might be) and could be triggered using a keyboard shortcut. However, nothing covered the scenario of one screen reading correctly, but the second screen reversing out. Recalling happy hours watching The IT Crowd I did the ‘turn it off and on again’ a few times but it came back on with the same issue. After a couple of days messing about, trying to avoid expensive call out charges, I spoke to the company who normally sort things for me. They suggested taking all the leads apart, hooking the ‘wrong’ monitor up to it’s original Mac and resetting it there, which I did. It worked fine, so it was then a case of dismantling that set-up and reattaching it to the split screen leads and powering everything up again. Bingo. So now it’s full steam ahead to catch up. The extra bonus of this delay is that our new printers have said we can add a few more pages to the layout so I have been able to squeeze in more pictures. Thanks to everyone for being patient. 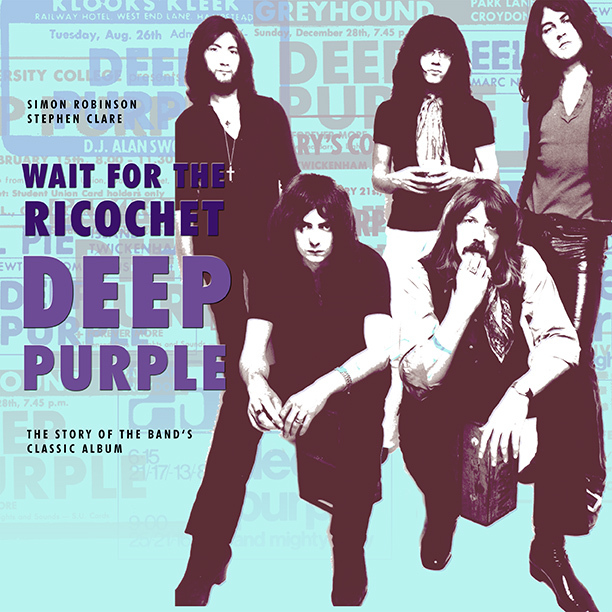 This entry was posted in Deep Purple, News and tagged computer, Deep Purple, Macintosh by simon robinson. Bookmark the permalink.